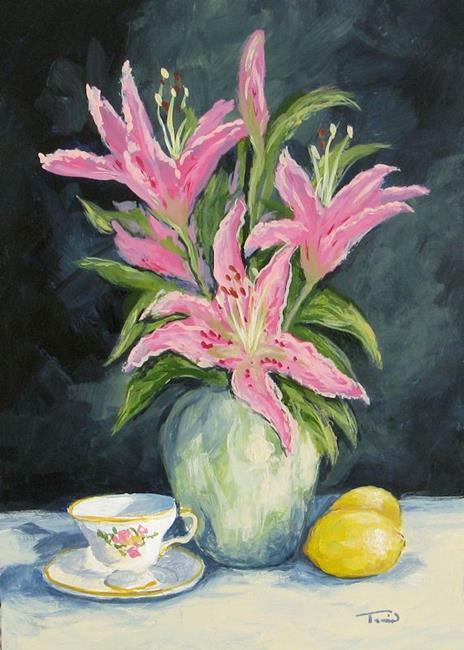 Tea with Lilies was completed in my home studio in Charlotte, North Carolina. c2013. Media: Tea with Lilites was painted using professional artist grade acrylic paint on Ampersand Claybord. Painting was finished with a light coat of varnish. This painting can be slipped into a frame or placed on a small easel for display.